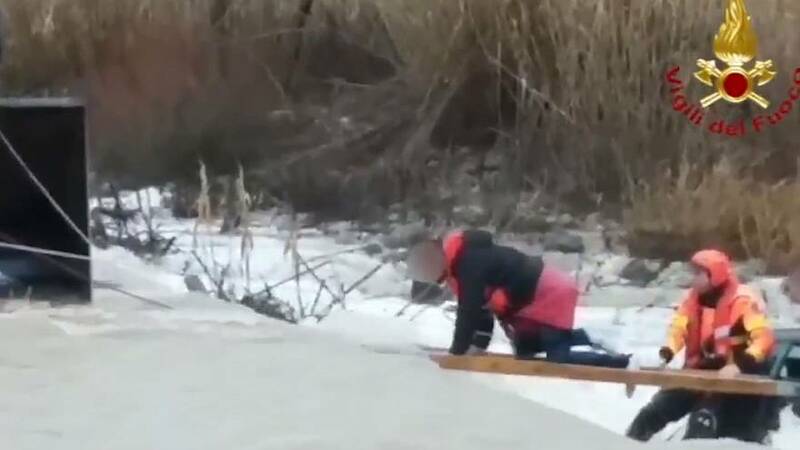 Firefighters in northern Italy rescued a group of boys from a swollen river over the weekend using ropes and planks of wood. The trio became trapped as they attempted to cross the Cornia river due to increased water levels caused by rain, the fire service, Vigili del Fuoco, said. It added that the group was “stuck at the mercy of the strong current”. In a five-hour rescue mission, the firefighters created a bridge using a plank of wood and led the teenagers to safety with ropes. Several regions in the country have faced extreme weather in recent days. On Saturday evening, firefighters rescued some 200 people trapped in their cars due to heavy snow on Italy's A22 motorway.